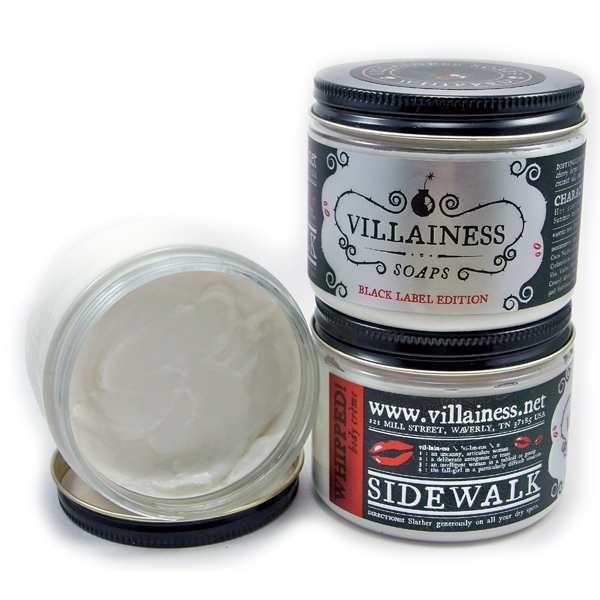 We’ve got some new Villainess products available at The Rhinestone Housewife. There are some really cool new summer scents that came out and we’re happy to be able to present them to you! 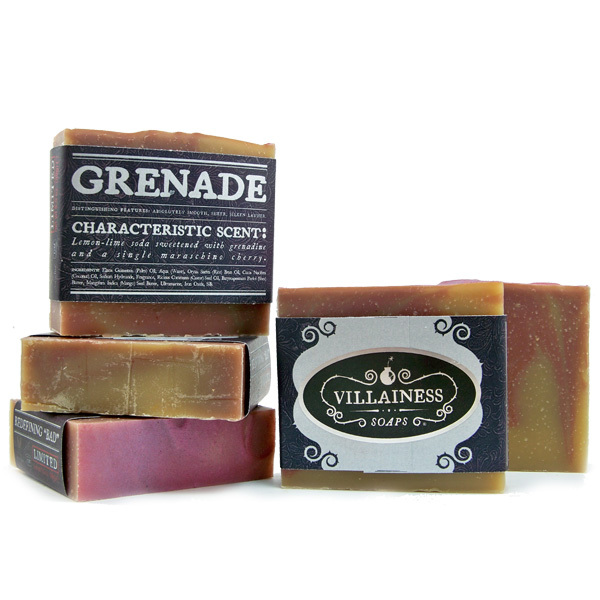 Grenade Soap-Lemon-lime soda sweetened with grenadine and a single maraschino cherry. 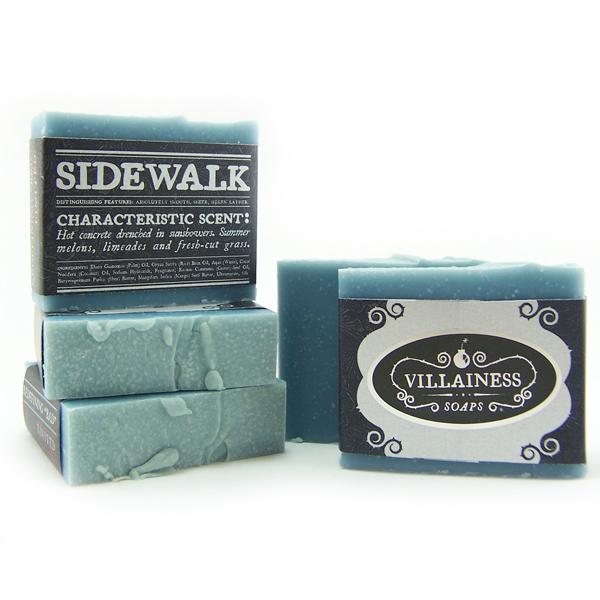 Sidewalk Soap-Hot concrete drenched in sunshowers. Summer melons, limeades and fresh-cut grass. Sidewalk Smooch!-Hot concrete drenched in sunshowers. Summer melons, limeades and fresh-cut grass. Sidewalk Whipped-Hot concrete drenched in sunshowers. Summer melons, limeades and fresh-cut grass. 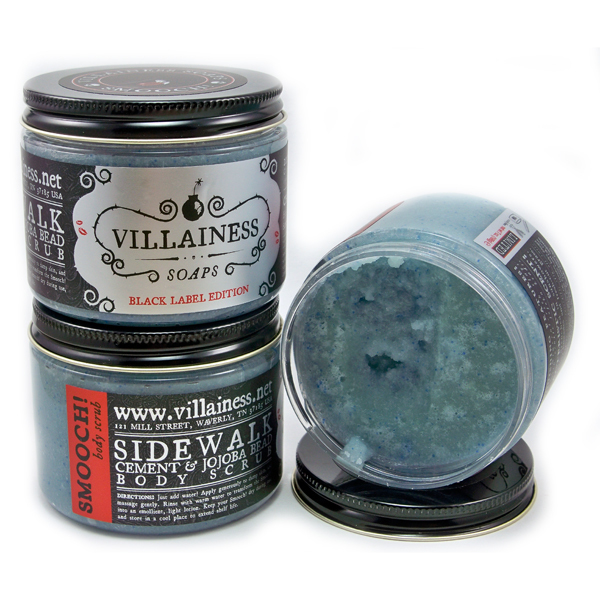 Also Jai Mahal and Blood soaps have been restocked!